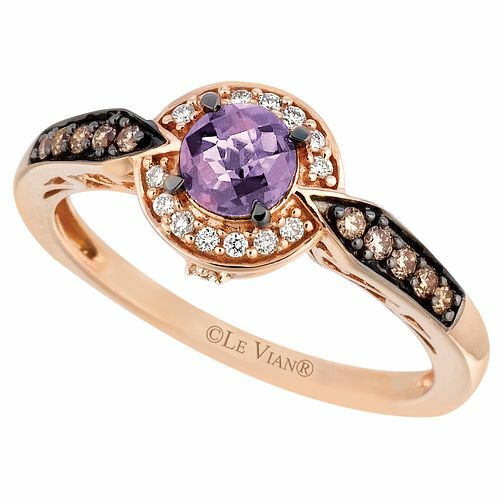 Crafted in luxurious 14ct Strawberry Gold, this opulent ring is set with a delectable round cut Amethyst centre stone in a Vanilla Diamond halo, and flanked by shoulders set with glittering claw set with Chocolate Diamonds. Total diamond weight is 0.18ct. Beautifully unique, this elegant accessory is an unforgettable gift. Matching Band: 6206484.